Giant Bicycles are only sold out of our Corona, CA retail store (2410 Wardlow Road, Suite 109, Corona, CA, 92880). This item cannot be purchased online or at our Riverside, CA location. If you are interested in a Giant, please contact our Corona Store team at (951) 736-0700. We are happy to help you arrange a test ride. Are you interested in a Giant model you don’t see on our website? Please let us know – we have access to most Giant models in just 1-2 business days. Thank you for your interest in Giant! The TCR redefines the performance possibilities of a road bike. For 2018 Giant TCR Advanced 2 comes with an Advanced-grade composite frame, constructed in Giant’s own facility. The steer tube is oversized with their Overdrive design, adding the perfect blend of stiffness and control. The Giant TCR Advanced 2 2018 comes fully-loaded with a Shimano 105 drivetrain, which provide you with reliable and efficient shifting performance along with a compact ratio using an 11x28 cassette and the 34/50 chain-rings that'll make it up any climb with ease. 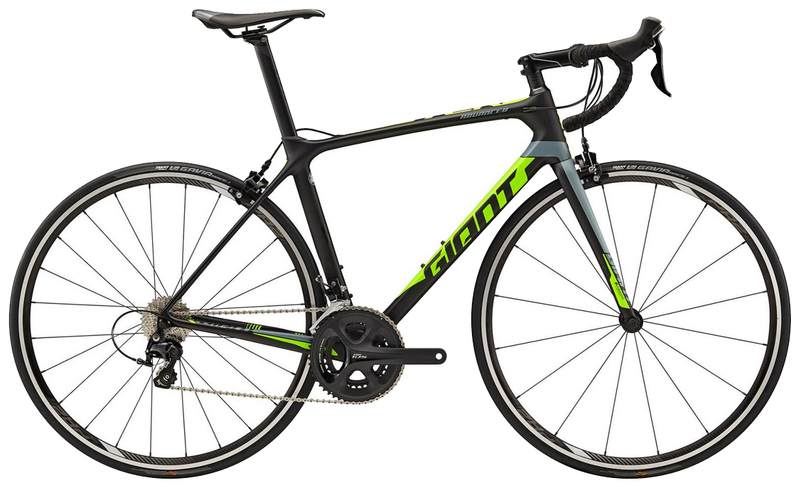 When combined with the frame design, this allows the bike to corner, sprint, and climb better than most other bikes above this price point. The Giant TCR Advanced 2 2018 will roll with ease on Giant PR-2, tubeless WheelS equipped with Giant Gavia 1 Tubeless tires, which will provide ample grip while leaning hard in the corners. Keep it light and lively with the Giant TCR Advanced 2 2018! High-performance Advanced-grade composite frame with Variant composite seatpost Lightweight, stiff and compliant. Advanced-grade composite fork with alloy/composite hybrid OverDrive steerer: Providesstiffer more responsive steering.